How Easy It Is To Cut A Diamond? People who buy diamonds usually look for carat, cut and color. Talking about cuts, there are various unique branded cuts which prevail in the industry. Diamonds being extremely minute, creating shafts and cuts in them is no easy task. It is often said the first diamonds in the world were found in the streams of himalayas in the ancient period. Due to its indestructible nature, the Latin traders called it "adamas" the invincible. The English started calling it "adamant" which later turned into "diamante". The beauty of a diamond is enhanced through its cuts. At the same time, chiseling huge diamond into small pieces is no breezy job.One wrong wedge might entirely ruin the sparkle of the diamond. Core mathematical calculations are necessary to cut huge diamonds into smaller pieces. They cannot be cut uniformly. They should be cut into various parts depending on the shape of the diamond. The traditional jewelry we buy usually falls under certain cuts like the princess cut, Adura cut, Ideal cut, Hearts on fire and Hearts and arrows. Hearts on fire diamonds became so associated with Valentine’s Day owing to their great marketing. The Rothmans who hailed from Boston decided to try their luck in the wholesale diamond business by late 1970's. Their true breakthrough came in 1996 when one of the proprietor Glenn saw a uniquely cut diamond in Belgium. Susan and Glenn, the proprietors of the Ruthman’s were completely fascinated by the fiery heart cut they saw. They started a new brand with the name Hearts on Fire and marketed the diamonds with this exclusive cut enormously. Within a decade, the company has grown into one of the most important brands in the world. To this date they are the most sought around round cut diamonds by the lovers all over the world. Brian Gavin created this beautiful heart and arrows diamond cut in 1996. Examining closely they will reveal a number of hearts located in round shape with several straight lines which looks like arrows in the middle. This round cut diamond is everything people who look for high quality. Several variations of the hearts and arrows cuts started to flock the market shortly after its inception. The inventor Brian Gavin himself introduced a standard and monitoring system which set the quality control for hearts and arrows cut. Today several machine cut hearts and arrows diamonds are created. The best ones are the man made ones which are rare to find. They too are created from simple round cut diamonds. Square is the next most used diamond shape after the round. Asscher cut diamonds with various depths and layered step cut is the most famous cut preferred by the royal people. Since, Asscher diamonds holds patents for almost all of their designs, diamonds with this cut can be found only with their customers who are royalties. They create customized pieces which are quite unique for each of their customer using the Asscher cut as the base. The depth and the facets of the diamonds vary according to the size of the diamond. Princess cut diamond was created by Henry Grossbard in 1970. The Quadrillion diamond company got the patent. Henry initially wanted to create a jewelry based on the designs worn in 1400's. He used an inverted pyramid as an inspiration. The symmetry and precision of the princess cut diamonds suited the various fancy stones starting from emerald to marqcuise. But, they became very famous in the diamond industry because they created very little diamond loss when it was invented. Princess cut highly enhances the durability of the diamond. There are no sharp ends which will chip easily. Though it sparkles a little less than the Asscher cut and the oval cut, princess cut diamond are economical and loved by most for its aesthetic beauty and a special sentiment associated with it. The beauty of princess diamond had made it ideal for fixing in the engagement rings. A diamond becomes valuable because it sparkles better than any other stone in the world. A diamond not cut properly will lose its light from the bottom and in the sides. 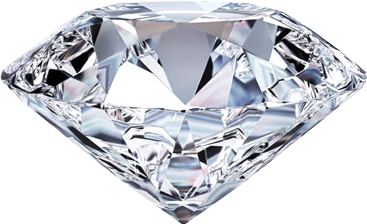 Alternatively the fire and brilliance in a diamond can be increased multifold if it is cut precisely to make light reflect through its top most surfaces often known as the crown. The round cut diamonds are neither too shallow nor too deep to allow light escape in the bottom. Its sides are chiseled properly to prevent light escaping from the sides. Tolkowsky a noted mathematician and a master diamond cutter whose family had been in the trade for five generations, created a formula which helped in manufacturing perfect round cut diamonds. He simply collected and improvised on the techniques used by various master cutters like Morse and Kaplan to create the perfect round cut formula. Since then, round cut diamonds have become the base of several other cuts. The ancient cuts used to create jewelry for the royal princesses are the old eight cut or the table cut, rose cut, old mine cut and the old European cut . The European imperials and the Russian aristocratic were great fans of these diamond cuts. The most common diamond cuts used for commercial use are the princess cut and the Adura cut. 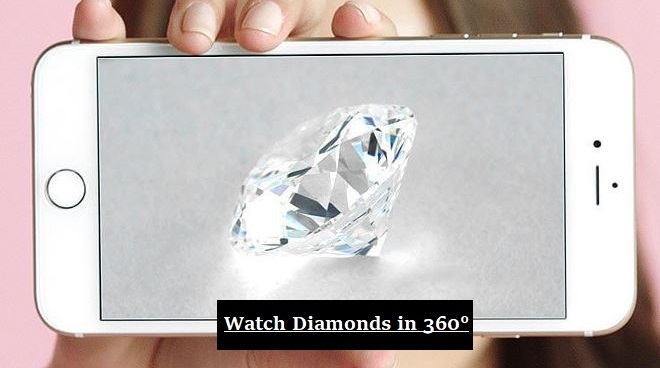 Both the diamonds can be found easily in most of the diamond stores all around the world. Other notable cuts are Aglaia, Ageless fire diamonds created by Dave Nygaard and the ideal cut diamonds made famous by the Kaplan and Tolkowsky. Kaplan made the ideal cut diamonds quite famous teaching the trade to several people in his factory. Tolkowsky’s formula which perfected it made creating of such cuts quite easy. Hence, several companies started to produce them within a short time. Some famous companies upgraded the design creating super ideal cuts and a cut above super ideal cut. These diamonds were of very high quality and did not come to mass production owing to high cost.